Sweets, goodies, treats, dessert – They don’t hit this blog too often. I happen to have a HUGE sweet tooth and simply cannot be left home alone with any of the aforementioned items. So, it’s very rare that I bake. That’s why I LOVE when an excuse comes along to actually make said treats (a birthday, Valentine’s day, The Bachelor finale). I made this batch of Blondies for my co-workers’ birthday. These ladies like sweets, but sweets that aren’t too sweet, and one doesn’t care too much for chocolate – Blondies fit the bill perfectly! If you’ve never had a blondie, you’re in for a treat! Chewy and buttery, they’re great straight out of the oven with a scoop of vanilla bean ice cream. I like the center pieces, because they’re extra gooey. But the outer pieces are great too, with their crispy edges. If you’re feeling adventuresome, feel free to add in some chocolate chips (white chocolate and butterscotch are great too!) and/or some nuts. This is a choose your own adventure type of dessert! 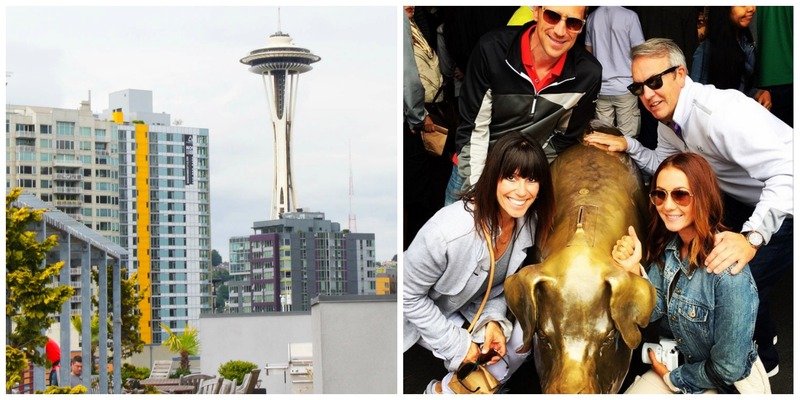 Speaking of adventures, we had a great time exploring Seattle with our friends Kim and Shawn last weekend. Sammie the Labradoodle even got to come along and spend some time with her puppy buddy, Hogan. We spent a couple of happy hours enjoying cocktails at The Golf Club at Newcastle. This club is open to the public, has amazing 360 views of the Seattle skyline, and there’s even a bagpiper who plays at sunset (May-September). Their Queen Mary is not to be missed – A BIG bloody mary garnished with cherry peppers, cocktail onion, asparagus, and blue cheese stuffed olives. 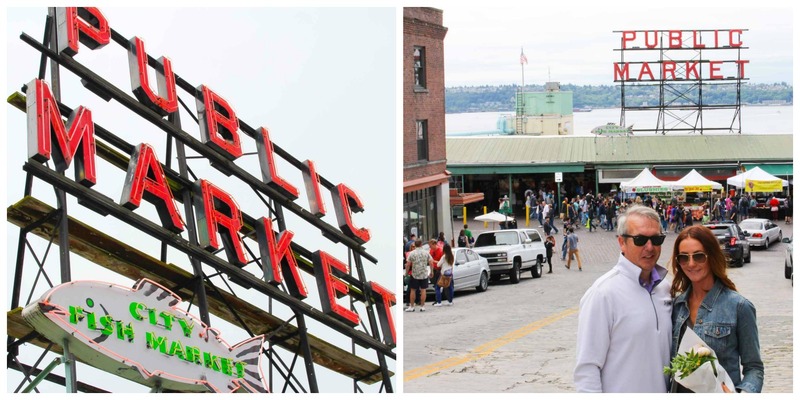 On our final day we went to Pike Place Market (of course!). Pike Place is a mandatory visit when in Seattle. 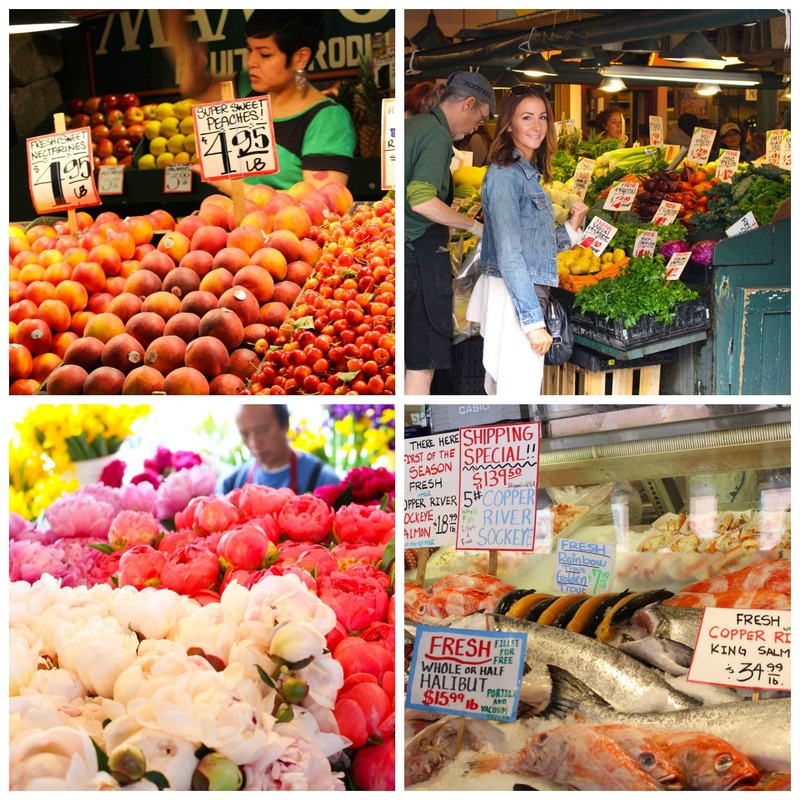 Right on the waterfront – It’s two stories of fresh produce, local seafood, and knick knacks. Our friends who live in the area were able to tell me about some special spots that I hadn’t been to before. 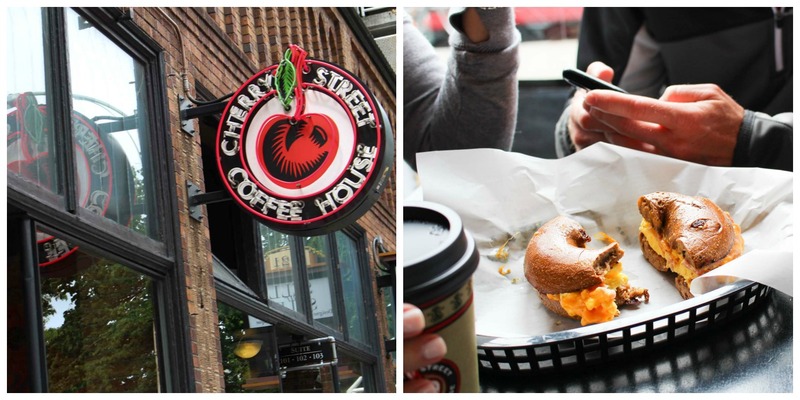 First, we stopped at the Cherry Street Coffee House. A neat little neighborhood café with great big window booths overlooking the street, aromatic lattes and breakfast sandwiches that can’t be beat! The regulars ordered up a ham, egg and cheese on a cinnamon raisin bagel – Who knew?! Yummy combo. At the market, we strolled past all of the produce stands, marveled at the blooming peonies and grabbed a few goodies from the Asian market for cooking drunken noodles that night (stay tuned for that recipe!). If you’ve never been, definitely check out the flying fish – If you’re ordering seafood, it’s likely to find it’s way to you airborne. Also, search for the golden pig and get in a photo op. 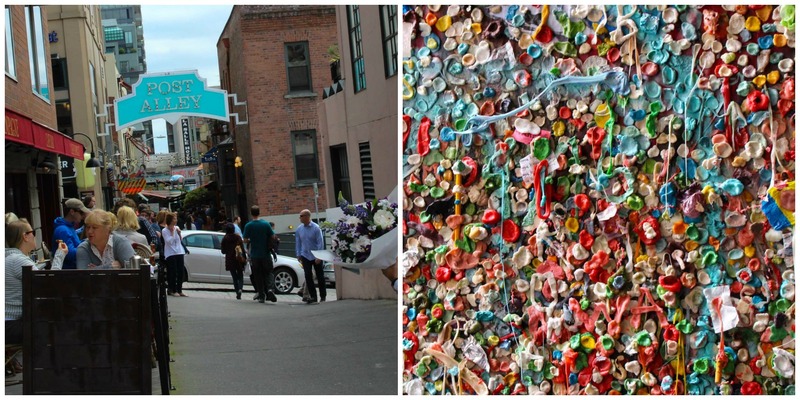 We also went for a quick visit to the gum wall – Located underneath the market, this brick alleyway is completely covered in colorful chewing gum. It’s said to be a popular spot for wedding photographs – I just wanted to get out of there. The gross-out factor was a bit much for me to handle… However, I have never seen so many selfie sticks in my life. 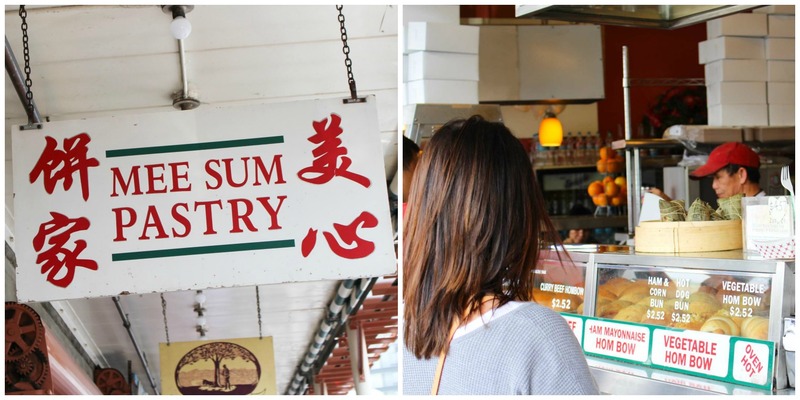 After my appetite returned, we made a stop at Mee Sum Pastry. Founded in 1983, this small, family-owned business is located just across the street from the market. Truly authentic, the hom bow are not to be missed. Huge, super flavorful stuffed buns. We went for the BBQ pork and chicken. There are vegetarian options as well as a “Ham Mayonnaise” option… I skipped that one. You’ll recognize this place by the huge line that forms outside. How about you? 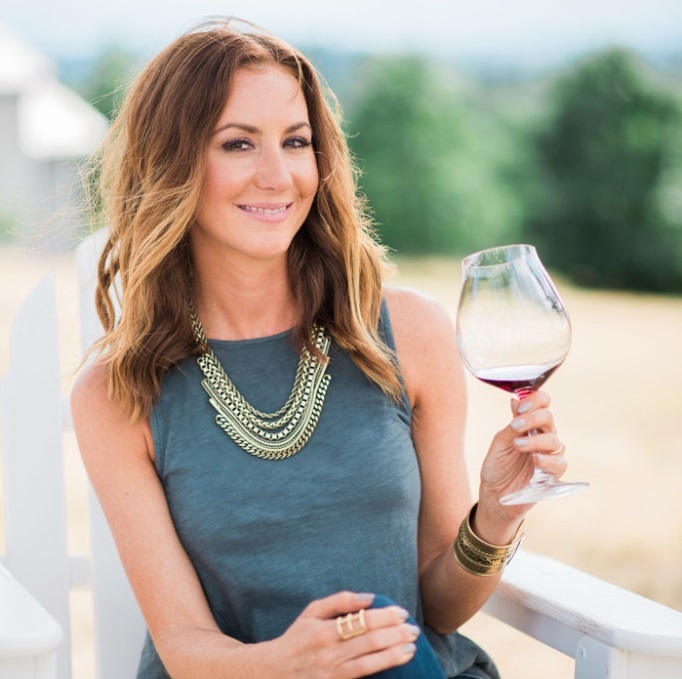 Do you have any favorite spots in Seattle that are not to be missed? We will definitely be back, and I’m always up for suggestions! In a second medium bowl, whisk the melted butter and brown sugar together until combined. Add the eggs and vanilla and mix well. Using a rubber spatula, fold the dry ingredients into the egg mixture until just combined. Place the pan on a rack and let cool completely (about an hour). Cut into 1 1/2- by 2-inch bars. I love blondies! These look amazing! Thanks Jennifer – I’m a HUGE blondie fan too! These may be the best blondies I’ve ever seen. They look so soft and gooey! Love your Seattle pics, it’s been years since I’ve been there. 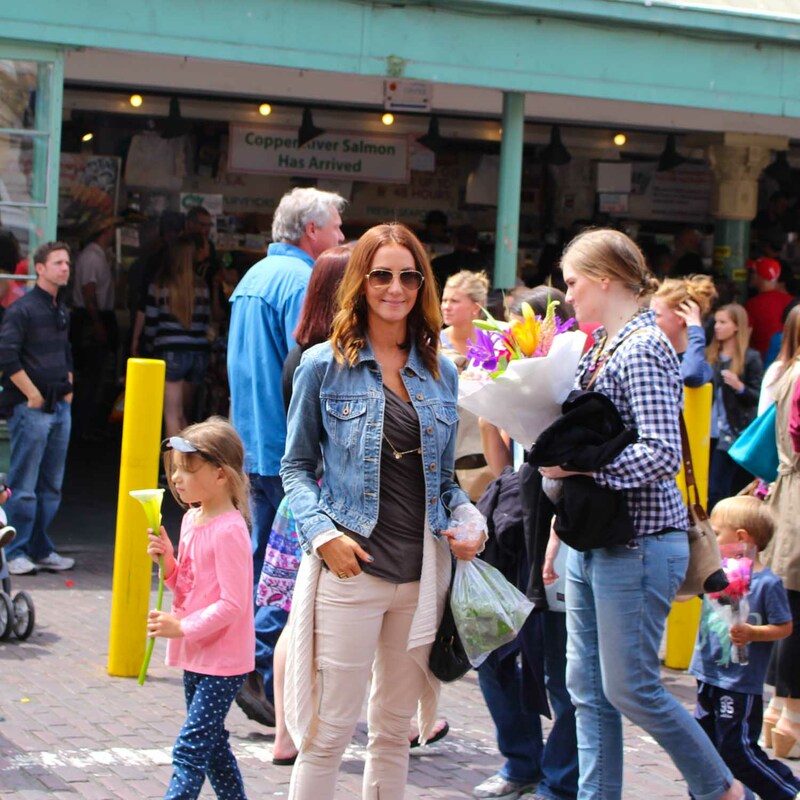 The market is my fave! Cherry Street Coffee House looks SO FUN Erin!!!! I’m glad you had a great trip and good times. The blondies look fantastic, so yummy. Great photos as always. My kids would do flips for these!